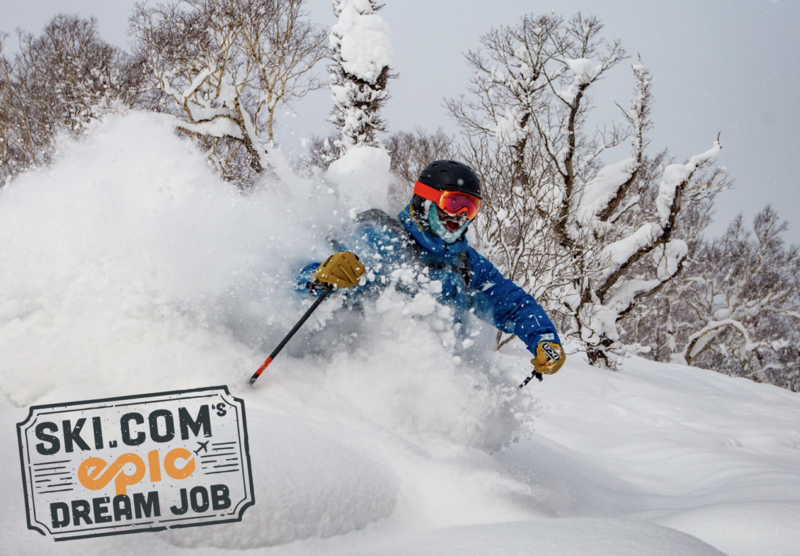 In partnership with Ski.com and the Epic Pass, we are searching for the ideal candidate for Ski.com’s Epic Dream Job. The candidate must have a serious desire to travel across the United States, Canada, Italy, Switzerland, Austria, France and Japan, along with being able to ski and/or snowboard, après, mingle with locals, and document the experience. Travel the world on United Airlines. Be decked out in head-to-toe gear from Helly Hansen, Rossignol, and Oakley. Capture content with video equipment from GoPro. Have a direct line to custom snow forecasts from OpenSnow. Collect a paycheck of $10,000 USD. To apply, interested job seekers must submit an application video between September 4 and October 15, 2018, explaining in 60 seconds or less what makes them the perfect candidate. For more information and to apply, visit Ski.com/DreamJob. Application videos can also be submitted by posting to Instagram and tagging the video with @skicom, @epicpass and hashtag, #EpicDreamJob. Ski.com will announce who has been selected for the job on October 30, 2018.